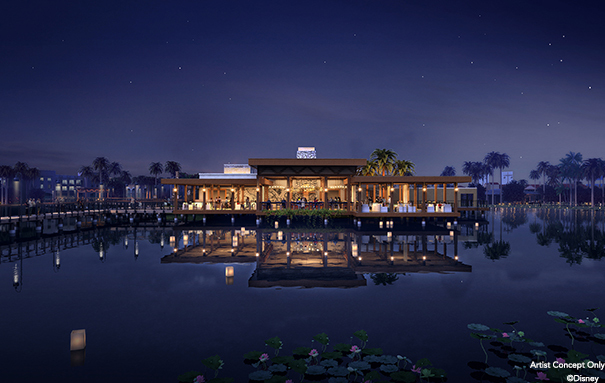 Earlier this year, we shared details on the big renovations happening at Disney’s Coronado Springs Resort in order to make it more appealing to meeting professionals and attendees. 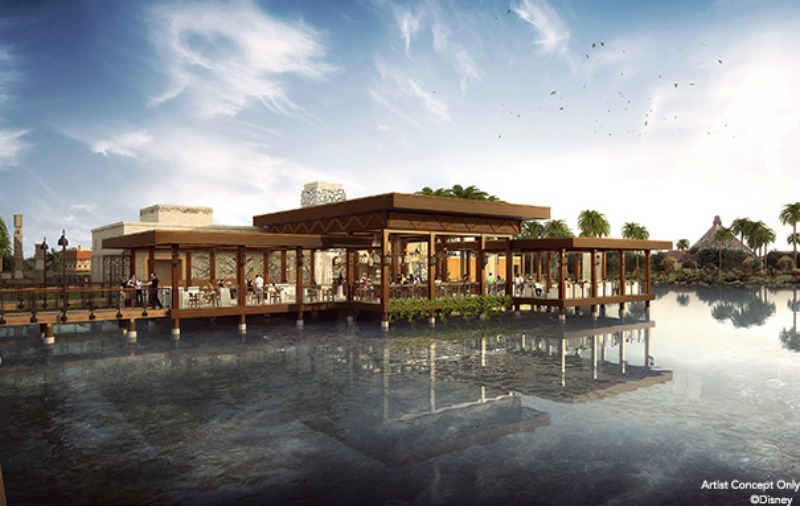 We’ve just learned today that the new bar and grill being added will be named “Villa del Lago.” The restaurant is being built out over the water and will connect to other areas of the resort by a series of bridges. This location will seat up to 60 people but has the capability to seat an additional 90 people in a designated group area. Light fare and cold drinks will be served while guests enjoy the view pictured in the rendering below. Villa del Lago is set to open in 2019 along with the new 15-story tower that will feature over 500 Guest rooms and concierge-level services.